You can open the individual directories, open the log file itself or create a support package when you have to contact Microsoft support in case of issues. Very nice and useful! This morning I tried to install and run the Hybrid Configuration Wizard on a new Windows 2016 server. Using the regular link https://aka.ms/TAPHCW I saw a message appear at the bottom of the screen, but it disappeared in a blink of the eye. 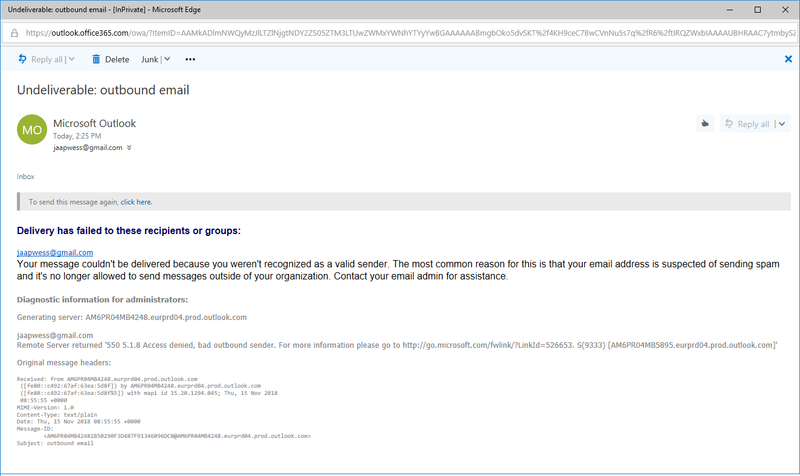 Error: MigrationPermanentException: Cannot find a recipient that has mailbox GUID ‎’add02766-9698-48e6-9234-91c3077137bc’. 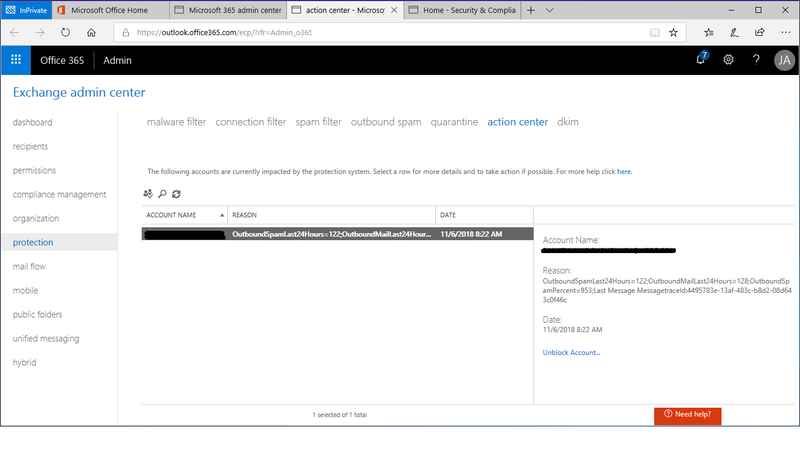 –> Cannot find a recipient that has mailbox GUID ‎ add02766-9698-48e6-9234-91c3077137bc ‎’. It took me some time to figure out why this property was empty. 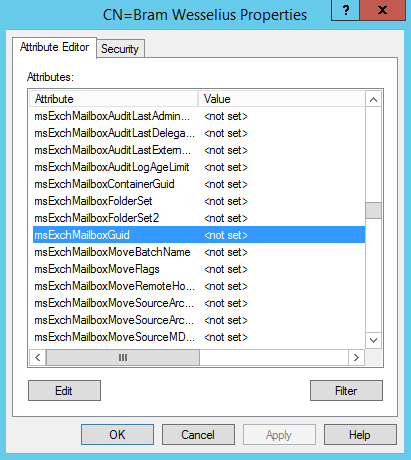 Normally when moving mailboxes from Exchange on-premises to Exchange Online the Mailbox GUID is retained. Keeping the Mailbox GUID makes sure you don’t have to download the .OST file again after moving to Exchange Online. 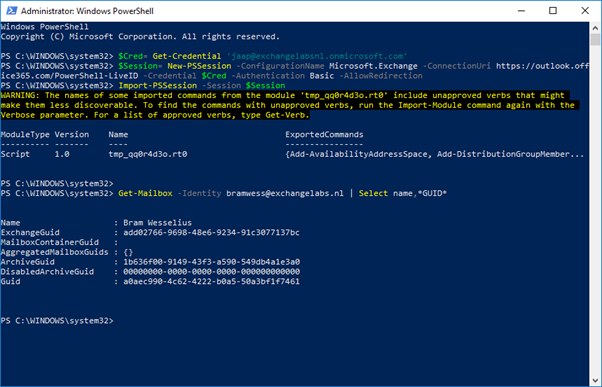 What happened here is that the user was created in Active Directory on-premises, and a Mailbox was directly created in Exchange Online using the Enable-RemoteMailbox command. In this scenario, there never was a Mailbox on-premises and thus never a Mailbox GUID. 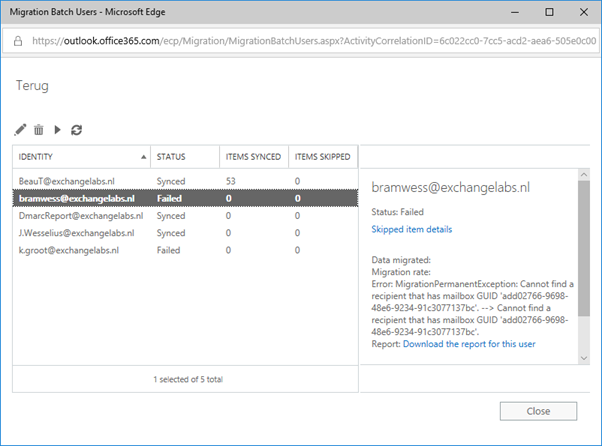 When setting the Mailbox Guid the mailbox can be moved from Exchange Online to Exchange on-premises.